Here at Tag UR It! Inc., we are always looking for new and interesting name tag varieties! Have you seen our Preferred Name Tags? These tags are available in both silver and gold, oval and rectangle shapes. 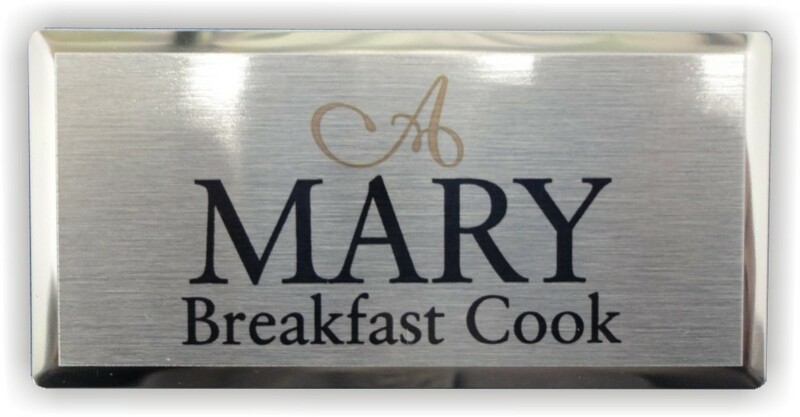 Their polished outer edge matched with the frosted front is the perfect backdrop for any logo! These beautiful name tags offer a sophisticated flair! These badges are sublimated through a heat process and can be customized with full color logos, names, titles, or any other information you wish! Available with pin or magnet attachment, these badges could be the perfect fit for your employees! 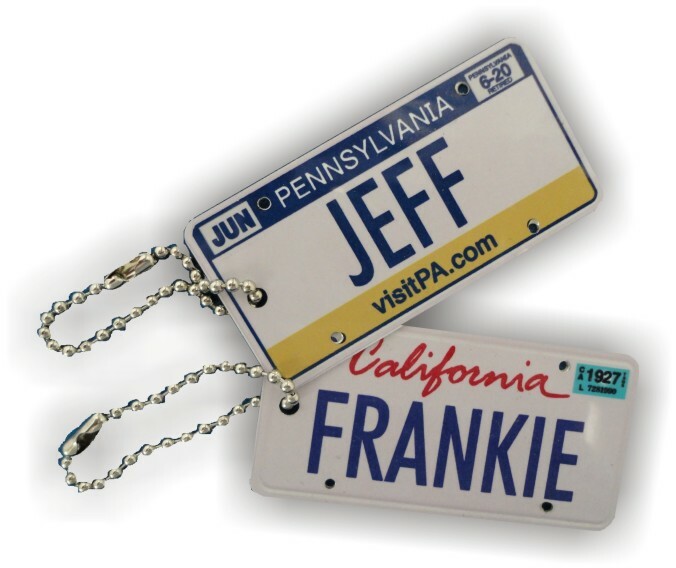 Personalized, Custom License Plate Keychains from Tag UR It! inc.
A special gift to commemorate the day a new driver hits the road. A fun accessory for a pre-schooler’s trike. A momento to remember a special time in one’s life. A fun keepsake from your home state. The possibilities are endless with Tag UR It! inc.’s personalized license plate keychains and mini vanity plates! Our keychains are typically approximately 2.5″ x 1.25″, but can be custom made to any size! The mini vanity plates can be custom made to any size you desire! Made of an aluminum material, much like the real deal, these keychains are sublimated through a heat printing process, allowing us to print in full vibrant color! 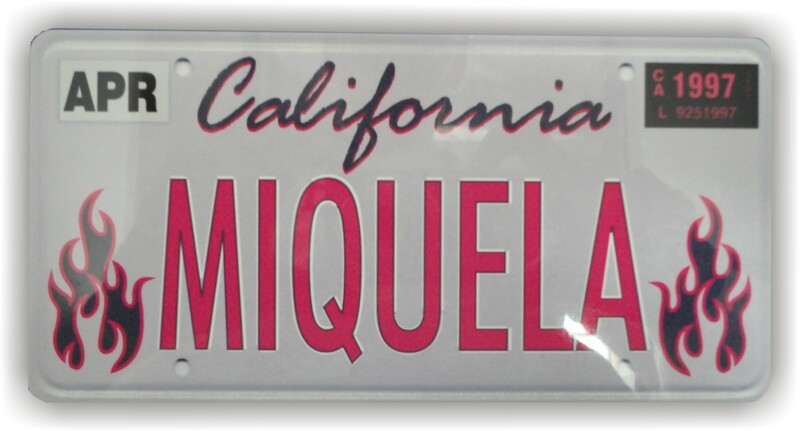 Being fully customized, we are able to create any license plate, past or present! We can re-create your first license plate, make a mini replica of your vanity plates, and of course personalize with any name! Have a unique name that is hard to find in stores? No problem!! And we are all about the little details here at Tag UR It! inc… See those little registration stickers? We can use your birth month and year or any date of your choice! The possibilities are truly endless!! 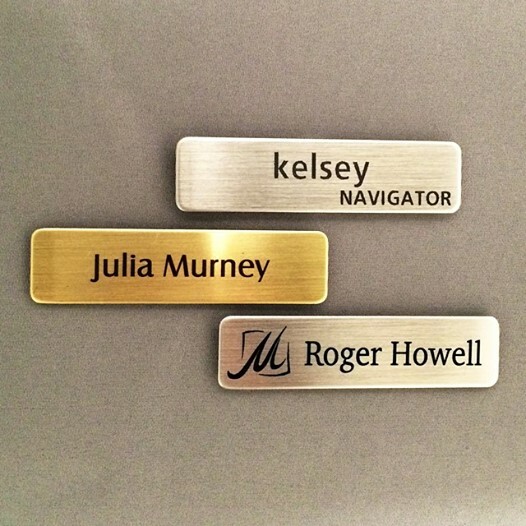 Employee name tags should never be drab or boring! 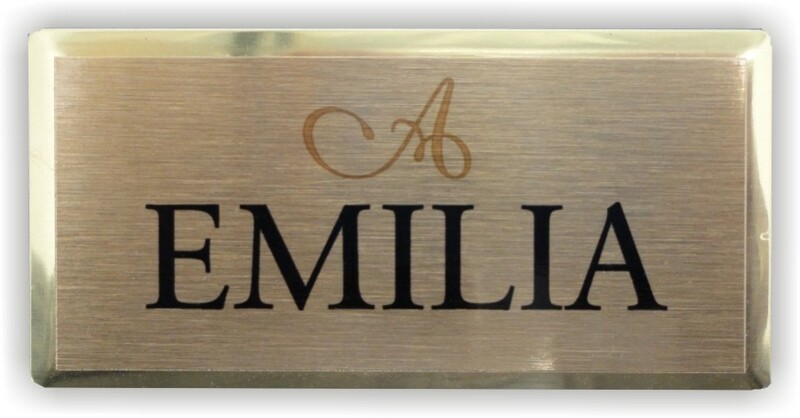 Our Silver Nickel or Brass name name tags are the perfect combination of simple elegance and flair! These fully customizable sublimated or engraved name tags are on the smaller side, 5/8″ x 2 1/2″, making them a simple yet stylish choice! These tags can be sublimated (printed with an ink and heat process process for vibrant, full color printing) or engraved and oxidized and can be customized with any small logo or names!